Honestly, I not even all that sure as to why I'm writing a blog post on this movie - it isn't as if it was any good. Okay, it is one of those movies that is trying to make a point and forcing people to think about the house of cards that the modern financial world has become, however I personally don't think that it succeeds - at all. 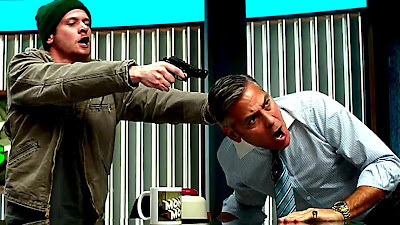 The thing is that Money Monster is what you would call a 'Hostage Taker' movie - some guy bursts into a room and takes everybody hostage, and through the movie the hostages and the hostage taker begin to develop a close relationships. Only that I tend to find these movies really boring. Money Monster, as far as I'm concerned, is no exception. So, the question that is being asked is 'why am I writing a post about a movie that I have admitted that I really didn't like?'. The thing with blog posts is that I generally don't spend the time, or the effort, in writing a post about a subject that I find boring - such as this movie. However, while the movie may have been boring, the ideas behind the movie aren't. However there is a problem. The movie deals with the finance industry, and the thing with the finance industry is that there is a very fine line between what is, and what is not, financial advice. In Australia, to write about financial products, even in a general way, one needs a financial services license. This is pretty sneaky because what this suggests is that one can't actually write about the Finance industry, or aspects of it, without it being construed as financial advice (unless you make multiple statements along the lines of 'this is not meant to be taken as financial advice'). In a way it is actually a form of censorship because one can't actually criticise the markets, or aspects of the markets, without being licensed to do so. Honestly, I probably don't even need to write a synopsis about this movie because everything you need to know about this film pretty much comes out in the trailer. However, since I do like to include a synopsis every time I explore a film I will include one here (despite the fact that I have probably said everything that I needed to say about the film in the introduction). Money Monster is about a television celebrity named Lee Gates who hosts a financial advice show called Money Monster. The thing with investing is that it can be a really dry and dull subject, though Gates, who happens to be a bit of a character, does his best to make it interesting and entertaining. In fact his television show is what you would expect from your typical television show - all glitz and glamour and little substance. However, a number of weeks previously he recommended a stock which he described as being better than money in the bank. 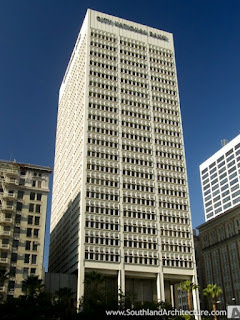 It turned out that he was wrong and the share price collapsed when the company lost hundreds of millions of dollars. So enter Kyle Budwell, your average guy on minimum wage who had come into a bit of money and decided to follow Gate's advice and invest it all into this one company. Well, you can guess what happened - he lost the lot of it, which resulted in him pretty much losing all of his money. This of course upset him no end, and instead of realising that he was the one to blame, decides to take matters into his own hands, grabs a gun and a couple of bombs, sneaks into the television studio, and holds Gates hostage in front of a live audience. The movie pretty much spends the rest of the time in the studio, with the exception of the end when they decide to leave and confront Walt Camby, the CEO of the investment company, over what exactly happened. Mind you, most of the movie involves digging up information as to why the stock crashed, revealing that 'the glitch' was simply an excuse to put to the media to cover up some rather nefarious deals that were being made behind closed doors. Back when I was young the stock market was really the domain of the professionals, and a handful of very keen enthusiasts. Back then you only found out about the price of a stock from the newspaper - if you wanted up to date information you had to go into the stock exchange. So, the average person would rely on term deposits and high interest savings accounts (which gave some pretty handsome returns back then). When it came to investing they would usually go to some professional fund or their bank and let them do all the had work. However things have changed - a lot. First of all interest rates are at record lows, meaning that if you simply park your money in a bank you pretty much get absolutely nothing back. The other thing is that computer technology means that even the average punter can get up to date information. Also, by using an electronic platform (that pretty much every bank offers these days), one can actually skip the middle man (though you can be assure that there is a broker hiding behind the scenes). However, the stock market can be a very mystifying beast with its own terminology, and it actually takes an awful lot of work to actually make it work to your advantage - work that many people aren't all that interested in doing - meaning that they go and seek out financial advice. The problem is that people want this advice on the cheap - financial advice, especially good financial advice, costs money, money that the average punter rarely has. As such shows like The Money Monster have a luring appeal. Here is a character that is entertaining, and also offering advice on how to become rich. The problem is that this advice is free - which means that there is no skin off his nose if a trade goes wrong. In fact it is not too hard to find free financial advice, which in my opinion is worthless, by searching on the internet. However there are dangers, and an awful lot of them. For instance a lot of advisers have their own interests before that of their investors. Some will take commissions off companies to flog off their shares, others will purchase shares in a stock and then recommend it to all their clients, which has an effect of pushing the price of the stock up (especially if it is what is called a Micro-cap stock), despite the fact that there is absolutely no value in the company, and then sell out before the truth is revealed. Then there is the lure of the investment firm promising above average returns, and it is to this that we will now turn. I'm sure many of us have heard of the infamous Bernard Mardoff, the one person who actually went to gaol for his role in the financial crisis. In reality he was nothing more than a scape goat, however what he did reveals the dangers of investing in an opaque firms. His firm was known as a ponzi scheme - a scheme where he paid out current investors with money coming in from new investors. This works wonderfully right up until a time that the current investors all want their money back - the problem is that all of the money that was invested has already been paid out as dividends. This is one of the big problems with investment houses - it is very difficult to actually see what is going on inside. This isn't the case with every company mind you - companies that actually provide a service, such as manufacturing, mining, or retail, tend to be a lot more transparent than a company that deals entirely with investing. The problem with an investment company is that you can only go on what they tell you - there isn't any physical that you can see or touch. A supermarket is easy because you can just walk in through the doors to see what is happening, and you can look at the price of commodities to understand the profitability of a miner, however all you can see with an investment firm is based upon what they tell you after the fact. The other thing with these firms is that the process of them making money is becoming ever more fancier. Originally an investment house simply purchased shares in a company and monitored the company to make sure that it was profitable and that it was producing a return. However these days we have firms that play around with some of the most confusing financial instruments it is mind boggling. There are companies that buy and sell options over shares that they own, companies that dividend strip, and companies that make their money purely by shorting shares. If there is one thing that the Global Financial Crisis should have taught us (and failed to do) is that the more complex the financial instrument, the greater the risk that there is that things will go wrong. A part of me is surprised that a company hasn't appeared that simply makes money by going into a casino and betting on the roulette wheel. Which brings me to my next point - the algorithm. Investors have been trying to work out how to beat the market for as long as there has been a stock market, and the more advanced the market becomes, the more sophisticated the methods become. Now, I'm not talking about shonky schemes here, but advanced mathematical methods that people use to try to predict the long term (and short term) direction of the market, as well as which stocks are a buy and which stocks are a sell. The problem is that in the end it all comes down to speculation and educated guesses. I once read a book about value investing (actually I've read a couple of them), which is a method of buying undervalued companies knowing that in the long run they are eventually going to rise to their full value, or even become overvalued (a time when it is a good time to sell, if you can work it out that is). 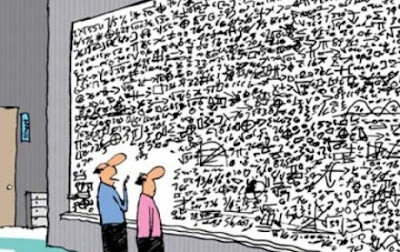 The thing is that in the end it all comes down to maths, to knowing the strange language that is used in the financial world, and educated guesses. In fact a number of the equations use a value that is called the 'future value' of the company, as if the value of the company in the future was something that could be known for sure. However, like all methods in attempting to predict the movement of the market, even the most advanced algorithm is at the mercy of unforseen events (known as Black Swan events). For instance, in the 1990s an algorithm was developed to determine the future price of options, and the mathematicians that created this algorithm one a Nobel prize for doing so. However, while the algorithm was working when the market was behaving as it was supposed to, it didn't predict the black swan event that was the Russian sovereign default. What happened was that the company, Long Term Capital Management, had to be bailed out to the tune of billions of dollars by the US government (which is a serious problem in an of itself - profits are privatised and losses are socialised). However, not surprisingly, nobody has learnt from their mistakes (namely because the government keeps on bailing companies out) and the algorithms simply become more and more sophisticated. 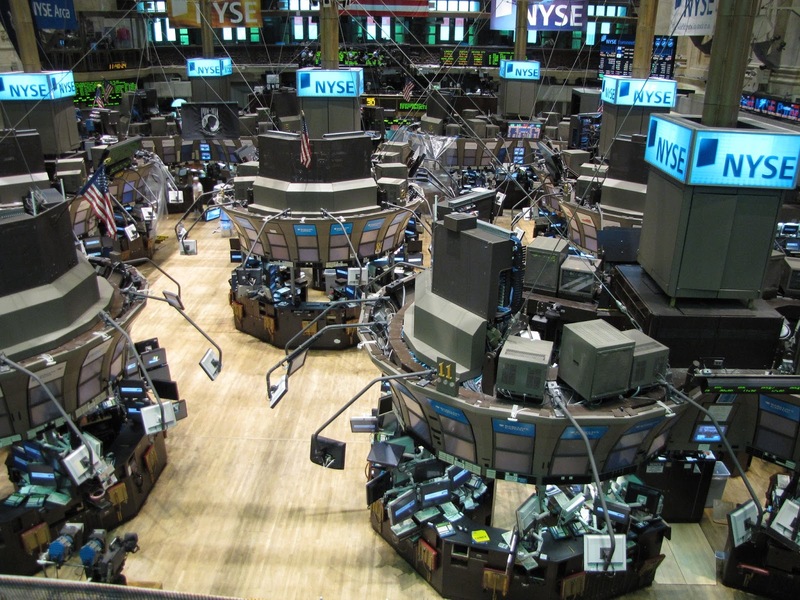 These days we have super computers engaging in what is known as high frequency trading - trades that occur at a millionth of a second to take advantage of even the most minute mispricing of a security, or the so called dark pools, places where shares are traded off the market in such an opaque manner that nobody knows what is going on. The problem with this is that it so distorts the market that it is almost nigh impossible to actually know what a company is worth. I want to finish off with an interesting thing that Lee Gates talks about in the movie, and that is how being rich and famous isn't all it is cracked up to be. This is something that I have known for a while, but for some reason people don't seem to realise the truth behind it. One of the biggest problems with being rich and famous is that you have absolutely no privacy. This isn't the Edward Snowden the NSA is listening to all of your phone calls type of no privacy, this is the everybody in the world knows what you are doing type of no privacy. While being rich and famous may seem wonderful, in reality not being able to walk down the road without a horde of adoring fans chasing you sort of creates a bit of a downer. Lee also tells Budwell how he has had three marriages, and three divorces. He doesn't know his kids, and every divorce becomes ever more expensive. In the end he has lost the ability to be able to have a deep relationship with anybody because every time he forms a relationship his ego ends up getting in the way. Sure, he has lots of money, and goes without want, yet the things that he does want - a real relationship - simply cannot be bought with money. I think the story of Harold Hughes is a classic example of this - a millionaire (at the time, he would have been a billionaire today) who ended up spending his life alone in his mansion simply because he had lost the ability to be able to relate. This movie also captures this idea brilliantly. In the end, it is better to be surrounded by friends and family who love and care for you, than to be surrounded by money and living a life alone. Chasing the Money - Money Monster by David Alfred Sarkies is licensed under a Creative Commons Attribution-NonCommercial-ShareAlike 4.0 International License. This license only applies to the text and any image that is within the public domain. Any images or videos that are the subject of copyright are not covered by this license. Use of these images are for illustrative purposes only are are not intended to assert ownership. If you wish to use this work commercially please feel free to contact me.